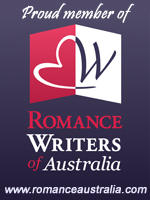 Genres: Paranormal Romance, Contemporary Romance. Kelly Steel lives in a slice of paradise. She has always read and started penning her own stories from a very young age. She lives in search of Happy Ever After for her characters. She writes Paranormal and Contemporary romance. You can find Kelly on her Blog, as well as Facebook, Twitter, and Goodreads.